Circumnavigate our favorite Cascade peak for an unforgettable forest adventure. For those not built to go up our iconic volcano, there is an equally satisfying alternative: go around it. The 40-plus-mile Timberline National Historic Trail #600 circumnavigates the mountain and provides equally spectacular scenery. If Cheryl Strayed can hoof it through the High Sierra, you can conquer this route—especially with a little bit of training and proper planning. 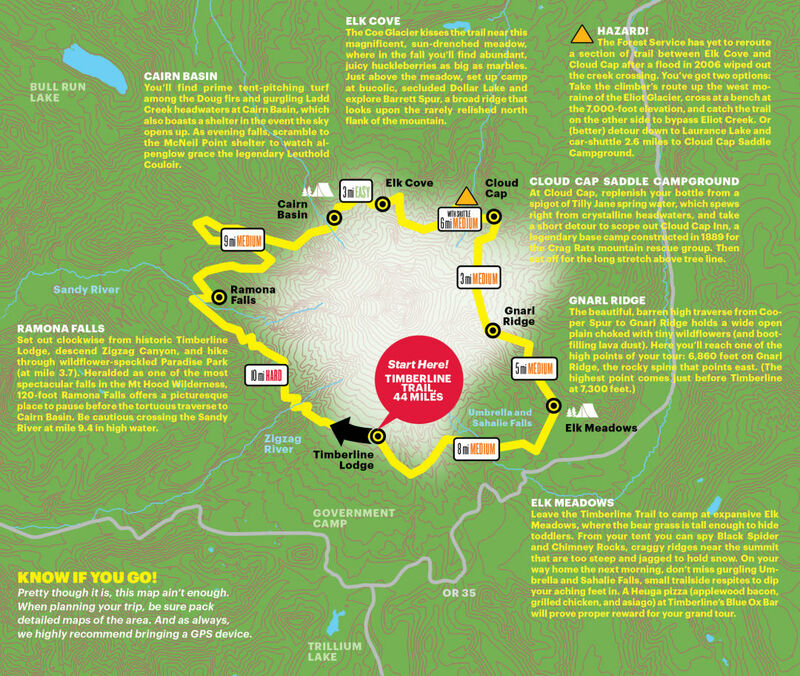 Here, we map out the possibilities to help you plan an epic Mount Hood adventure.